Mostly we design only using two of our senses, namely sight and touch. Why don’t you try a multi-sensory approach? 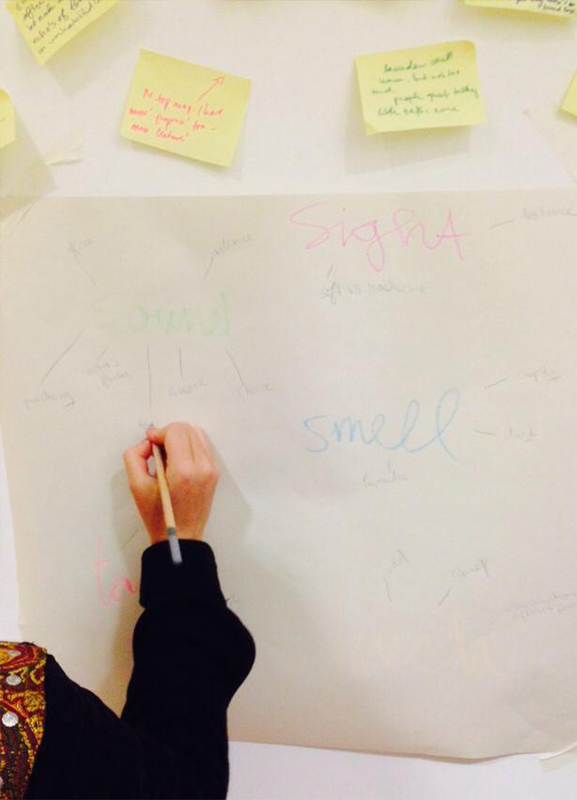 During the workshop we aimed that the participant will be able to develop this awareness of the senses. By focusing on a sensory experience in approaching the exhibition they would learn how to perceive and see in a different way. This new sensory awareness hopefully inspired the participant to experience their individual practice as well as the exhibition in a way beyond sight. ‘Beyond sight’ is a workshop a workshop to create an awareness of sensory experience and translate this into something tangible. Starting with a sensory awareness morning session with interactive exercises. At the end of the session the participants will be invited to explore the exhibition with this newfound mind set. 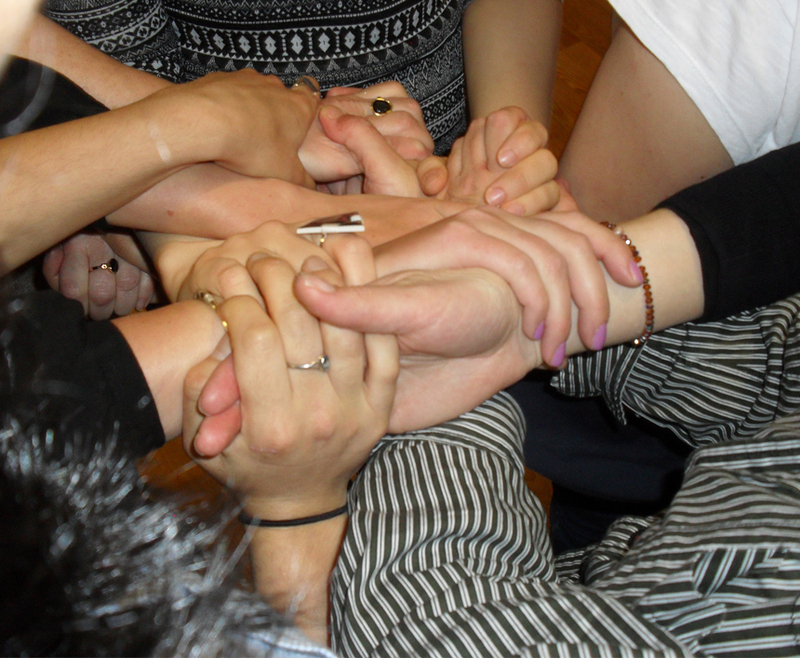 In the afternoon session the participants will be encouraged to create a response to the morning session. This workshop was developed in collaboration between the Manchester School of Art the CFCCA (Centre For Chinese Contemporary Art) in Manchester.